You might lower your tax bill by identifying sold shares. A stock lot, share lot or tax lot refers to a group of shares of stock that you bought at the same time. Picking out a particular set of shares to sell first may affect your tax bill, since you generally pay capital gains tax based on how much the shares went up or down and how long you've owned them. If you don't tell your broker otherwise, you will sell lots and the shares in them in the order you bought them, known as the first in first out rule. Consult with your broker if you want to sell according to another method or sell a particular share lot. Every time you have your broker buy you a number of shares of a particular security, you create a new tax lot of that security. A lot, by definition, is a group of shares purchased at the same time. In the past, a round lot size, usually a number of shares divisible by 100, could sometimes be bought and sold more easily or with cheaper commissions, but this is less true with modern stockbrokers and electronic trading. When you go to sell shares of a security, you will be required to pay tax on any gains your shares have seen in the time you owned them, minus the transaction costs involved in buying and selling the shares. You'll pay long-term capital gains tax, generally at a lower rate, if you've held the shares for a year or more. Otherwise, you'll pay short-term capital gains tax at your ordinary income tax rate. If the shares have declined in value, you'll incur a capital loss. You can use this to offset other capital gains and, if you don't have enough capital gains, deduct up to $3,000 of your loss from your ordinary income. You can roll over unused capital losses to future tax years to defer capital gains or take further deductions. If you own multiple lots of a particular stock, the ones you sell will affect your taxes differently, since you will have different levels of gain or loss for each lot and some lots may fall under short-term gains while others fall under long-term gains. If you don't specify which lot or lots to sell shares from, your broker is required to sell your longest held shares first. This is called the first in first out, or FIFO, rule. You can ask your broker to instead sell shares from a particular lot or to use another rule to pick the shares to sell. Alternative rules include last in first out, in which your most recently purchased shares are sold first, and lowest cost, where you sell the shares that you bought most cheaply first. Your decision on one transaction may affect your decisions on others. For example, you may want to pair a capital loss in one stock with a similarly sized capital gain in another. 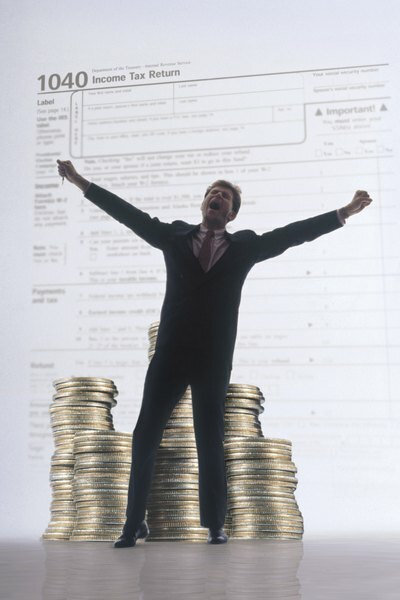 Your broker or a tax adviser may be able to help you plan your trades to maximize your profit and minimize your tax. Get a written confirmation from your broker to confirm the right shares were sold, and keep track of what shares you bought and sold when so you know the basis of each tax lot. In certain cases, you can't take a capital loss if you buy and sell the same stock or substantially identical securities within a 30-day period. This is known as the wash sale rule. Instead, the would-be loss is added to the tax basis of the newly bought stock as if it were part of the transaction cost, so the loss is essentially preserved until you sell the stock more permanently. Keep this rule in mind when you're calculating your capital gains and losses. Generally, the rules around tax lots and long-term capital gains aren't changing for 2018. The ordinary income tax brackets, however, are changing in ways that will reduce many taxpayers' marginal tax rates. This may affect your decision about which lots of stock to sell when, since the tax ramifications of short-term capital gains may be less dramatic than in the past. If your stock transactions bring about short-term capital gains, you will generally pay a higher tax rate on these gains in 2017 than in subsequent years. What Is a Typical Stop Loss Percentage for Options?